People come to the house in fancy dress for my thirtieth birthday. 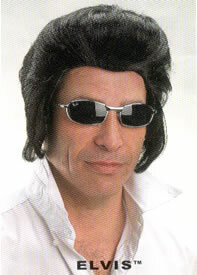 Nobody actually came as Elvis. But there was a Pope, a Golden Girl, a Penguin and some Convicts. By this year, the immigration to Australia of refugees from the pre-war Baltic States of Estonia, Latvia, and Lithuania, from the Soviet Union, Poland, the two Germanies, Holland, Yugoslavia, Italy, Greece and Turkey had so changed the population of Australia that 11.8 per cent of it had no connection either by birth or descent with the inhabitants of the British Isles. The Commonwealth Heads of Government Regional Meeting, held at the Hilton hotel in Sydney, was disrupted when a bomb planted in a bin exploded, killing three people.